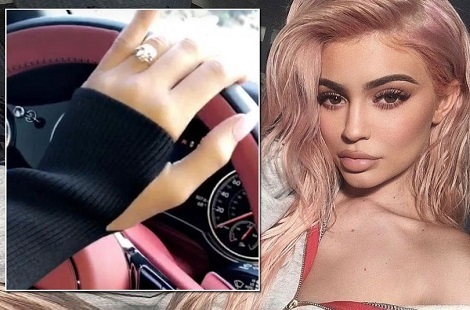 Pregnant Kylie Jenner has sparked speculation she is engaged - as she flashed a diamond ring on her wedding finger. The 20-year-old flashed the serious bling as she made her way to sister's Kim Kardashian's baby shower in LA. 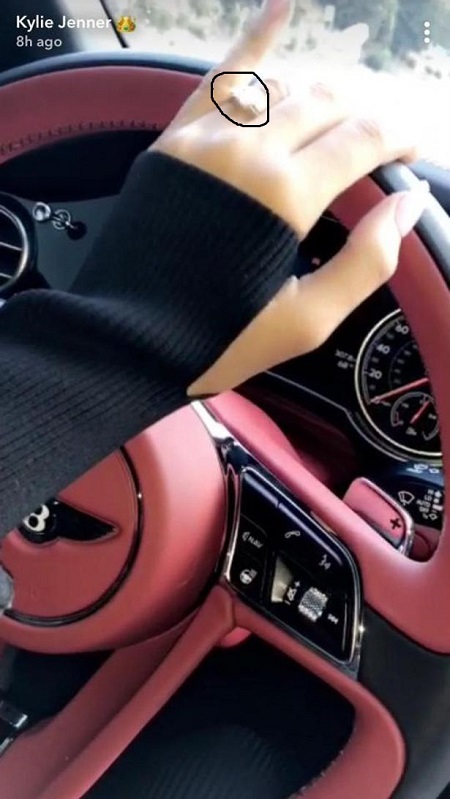 Driving her Bentley, the cosmetic guru shared a brief Snapchat of her steering wheel - but all eyes were on her third finger. Kylie has only been dating beau Travis Scott for less than five months but it's clear the pair are serious. Taking to social media on Friday, the 20-year-old shared a number of photos that all had a pink theme, including a room that featured a pink chair and a pink Christmas tree. "Shooting holiday videos @kyliecosmetics," she wrote.